The Italian Consulate General in Chongqing together with the China-Italy Chamber of Commerce would like to invite you to take part in the 97th edition of the China Food and Drinks Fair (CFDF) that will take place in Chongqing from October 19-21st 2017. Is one of the most important F&B exhibition in all over China focusing on for the promotion of agribusiness and related products, particularly wine, in the Chinese market. The CFDF is held regularly twice per year with the Spring edition in Chengdu and cover an exhibition area of more than 100.000 sqm. 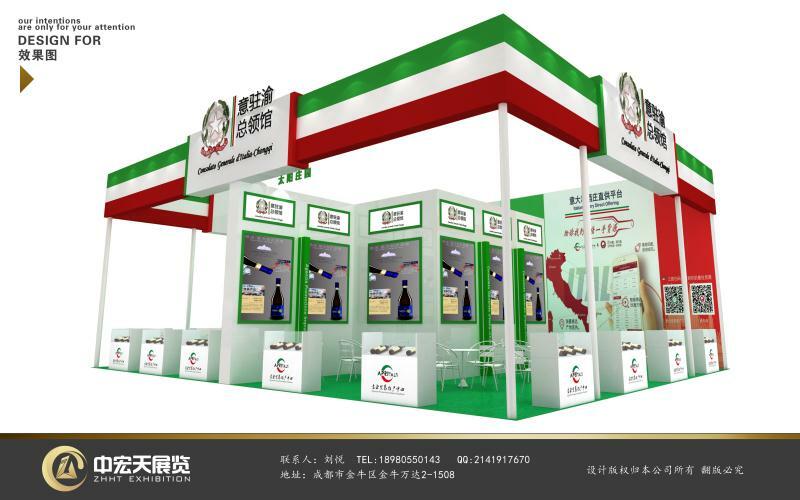 In the last Spring edition in Chengdu, the Italian Pavillion Organized by the Italian Consulate General in Chongqing gathered around 11 companies that took part in the exhibition and other promotional activities. Design: The Design will be arranged according to the number of companies involved in the Fair. Below the pavilion draft. If interested in taking part to the Fair or receive further information contact us sending an e-mail at Infochongqing@cameraitacina.com. 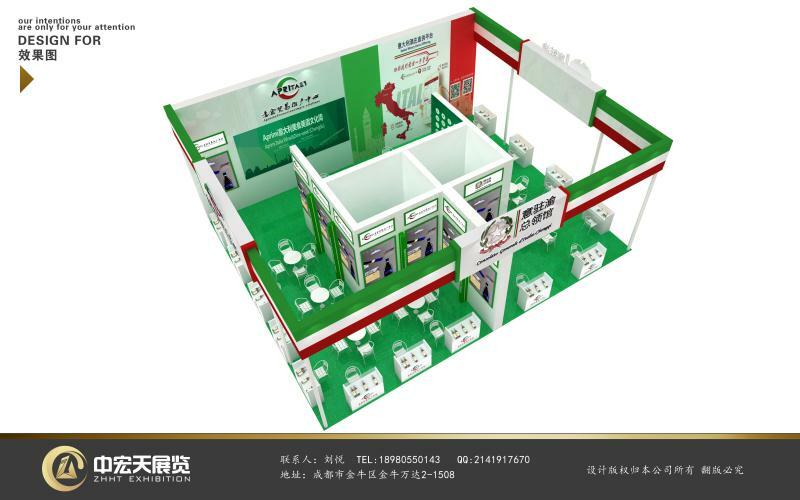 Italian Pavilio: - Exhibition space rental fee: 795 RMB/sqm; - Set-up: 1000 RMB/sqm.